Angela Lansbury on Erroneous Reports: "I Am Not a Republican"
On Sunday, Angela Lansbury was the guest of honor at The Players' Pipe Night honoring Audra McDonald. Of course, the topic of the election came up. "There is one thing I would like to say about that," said the normally even-tempered 87-year-old, becoming indignant. "It has been erroneously reported that I am a Republican! I am not a Republican." While I could find no mainstream outlets calling her a GOPer, this this Answers.com page does come up first when you Google "Angela Lansbury Republican." "It's all over the Internet and It's bizarre," continued Lansbury, best remembered as Jessica Fletcher on Murder She Wrote. "I'm a huge Obama fan. I've already voted for him by absentee ballot. I am Democrat from the ground up." 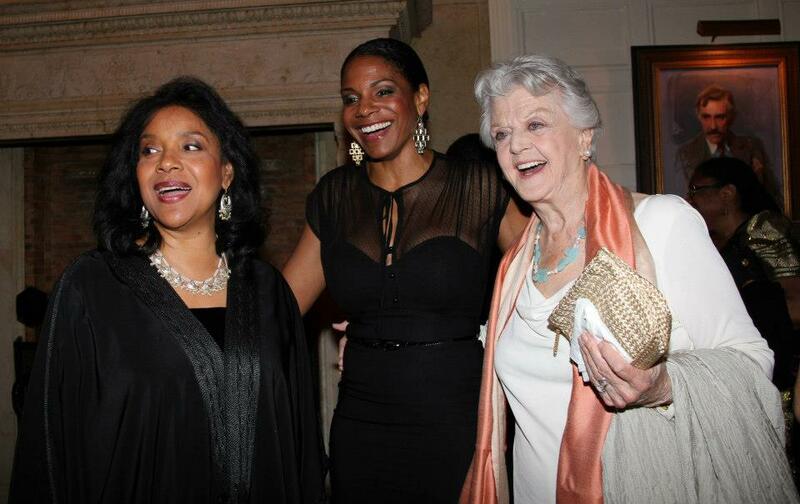 The Players, a theater club that has a brick-and-mortar clubhouse on Gramercy Park in New York City, invited Lansbury to fete her good friend, the Broadway star Audra McDonald. Lansbury and McDonald both have five Tony Awards apiece -- tied with Julie Harris for the most Tonys of any actor -- a fact that Lansbury referenced in her speech to the crowd. "Audra and I have a joke about it really," said Lansbury. "I'm thrilled for her that we're neck and neck. I'll fight her for the next one!" I couldn't say a few words because there's too much to say. As much as it will be said tonight. She is atypical in every way. Just in every way. I was thinking about it today, remembering when I became aware of her as a performing artist. Upon hearing about her, and hearing good things, I thought, "Oh, I hope I meet her sometime."